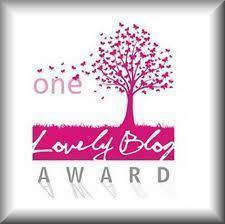 I was recently nominated for the One Lovely Blog Award and the Very Interesting Blogger Award! I’ll be honest, I’ve tried looking into these awards, and can’t tell if anyone actually wins, or if there is actually a contest for a winner. However, I considered it a very flattering gesture for my blog, and thought I would fulfill the requirements for the awards anyway. The first part of the fun is thanking the blogger who nominated me, heidimedina, who is the author of the blog Simply Sophisticated Cooking. The next part is to share seven things about myself, which I thought would be a lot of fun, especially for some of my newer followers who don’t know much about me. So here it goes! 1) I grew up loving everything about food. Cooking is a love of nearly everyone in my family. My grandma is the entertainer for the big holidays, my dad used to cook every Wednesday when we were kids, and my mom was always cooking a healthy and ever changing menu. My sister and I both picked up the reigns and continue to cook as an everyday hobby and for big occasions. We are always talking about what we made, or where we went out recently. Cooking and the love of food runs in the Pepper and Neistat blood. 2) I was born and raised a Colorado girl! My family lives about 15 minutes south of Denver, and Ryan and I are hoping to buy a house there this year! 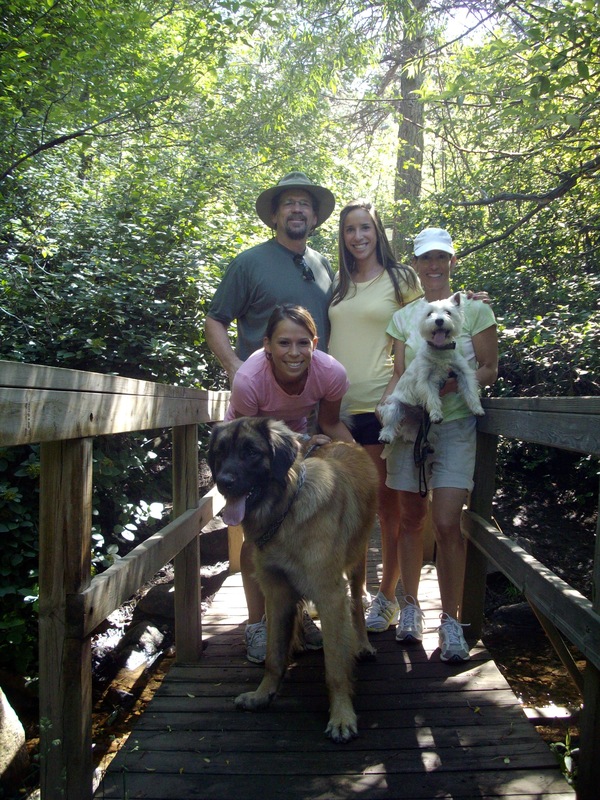 I love the mountains, hiking, and being outdoors. Colorado has roughly 300 days of sunshine, and I miss having that while we spend our time on the east coast. 3) Despite being a very healthy person, I’ve had six surgeries (that I can think of) in the last 10 years or so. I think I was the oldest person my doctor had ever seen getting their tonsils out! The older you are, the less fun it is. Even ice cream couldn’t make me feel better for that one. 4) I am a proud Bucknell Bison, class of ’09. I studied Business Management at Bucknell, and was actually recruited there for softball, but ended up quitting after the first few months. (Bonus fact, I was also recruited to Yale! Ryan and I could have met four years earlier!) I met my best, best friends on my freshman hall, and we haven’t separated much ever since! I loved everything about Bucknell and it’s little campus in central Pennsylvania. I was in the sorority Kappa Kappa Gamma and went on two Habitat for Humanity trips while I was a student there. 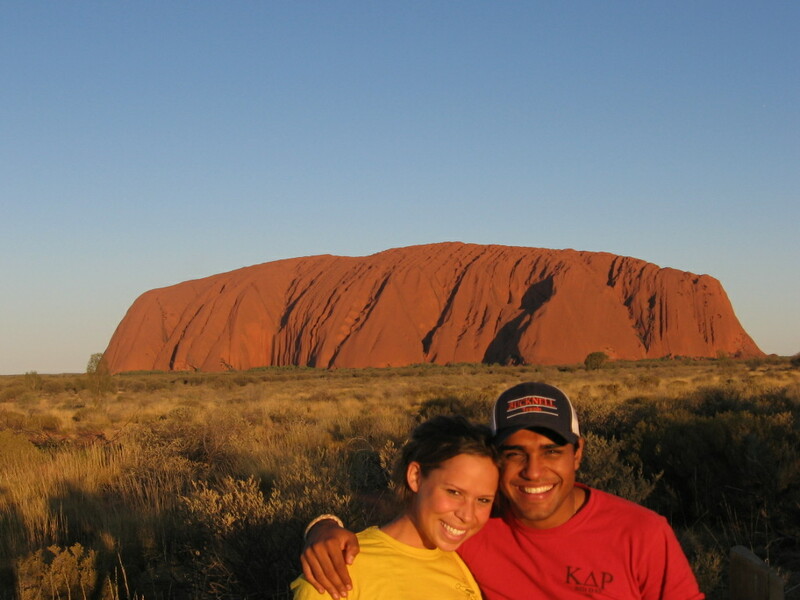 5) I studied abroad in Australia for four months with one of my best friends Sid. We went backpacking in the Outback for a week and spent another week swimming in the Great Barrier Reef. It was incredible- I can’t wait to go back. While we were there, we ate at the restaurant Tetsuya’s in Sydney, which was ranked #4 in the world at the time. It was the first time I had participated in a tasting menu, 15 courses, and I knew from that moment on I had to work with food as a career. The experience blew my mind. 6) My favorite food is macaroni and cheese. My sister keeps reminding me that I haven’t posted a recipe yet, but I made it this Valentine’s Day! It will be up very soon. I don’t have too many foods that I don’t like, but I don’t particularly enjoy chocolate and tomatoes cut into wedges. 7) If I could create my perfect future, I would love to see my blog grow into its own cookbook. I know that cookbooks are starting to phase out in our technology world, but I love the feeling of flipping through the glossy pages of a brand new cookbook. The food always looks incredible, and after just a few seconds I’m already writing down all the recipes I want to make. I’ve been working on my food photography (which is much harder than it looks! ), and am hoping to progress in both and have the material for a book one day! There are plenty of food and baseball stories left to tell, and I hope they merge into a beautiful coffee table cookbook. That was fun! 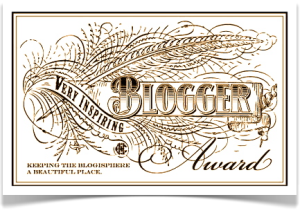 The last part of the nomination is to pass on the award to another 10 bloggers. I wanted to choose blogs that I love and look at a lot, so I didn’t come up with 10. But these six are excellent. Check them out when you have time- they have a lot to offer you in the realms of their expertise! For those that are nominated, instructions are at the bottom if you wish to participate. Glow Of Grace – My friend Rachel’s beauty blog. I LOVE HER & her makeup tips!! I Am A Food Blog– great food photography! Brown Eyed Baker – I intake calories just looking at these recipes, and love every second of it! Alexandra Cooks – really great, unusual recipe ideas. The guidelines for the nomination! i learned quite a bit about you, so nice. thanks for sharing. Wishing you all the success and awards that will be coming your way. Nice way for me to get to know you better.